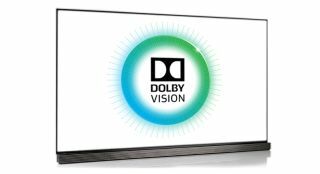 Amazon Video begins streaming Dolby Vision content | What Hi-Fi? The Amazon Original series Bosch and a number of films from Sony Pictures are now available to stream in the alternative HDR format. There are currently two ways to watch High Dynamic Range (HDR) TV, either via the HDR10 system or Dolby Vision. Until now, we’ve mainly seen content in the HDR10 format, which both Amazon Video and Netflix are currently streaming. However, a handful of shows and movies are available on Netflix in Dolby Vision - and now Amazon Video can also lay claim to Dolby Vision compatible content. The Amazon Original series Bosch and a selection of Sony Pictures Home Entertainment films, including After Earth, Men in Black 3, Hancock, Salt and Fury, are all available to stream in Dolby Vision. There is one caveat though, only a few LG OLED and 4K Ultra HD TVs will support the content, such as the Signature OLED65G6V, OLED65E6V and OLED55C6V. The same TVs can only be used to stream Dolby Vision content on Netflix as well, where it’s the preferred format. At the moment, only US consumers can take advantage of Dolby Vision content on Amazon Video. We will update you with further news when a UK roll-out is confirmed.